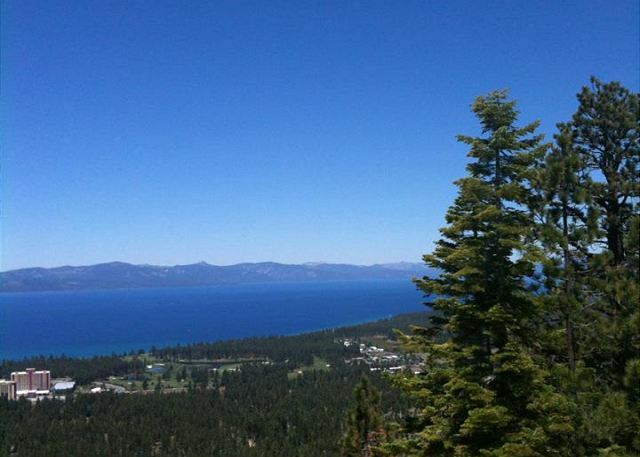 Tahoe Luxury Estates. Everything in this custom home is premium and over sized. 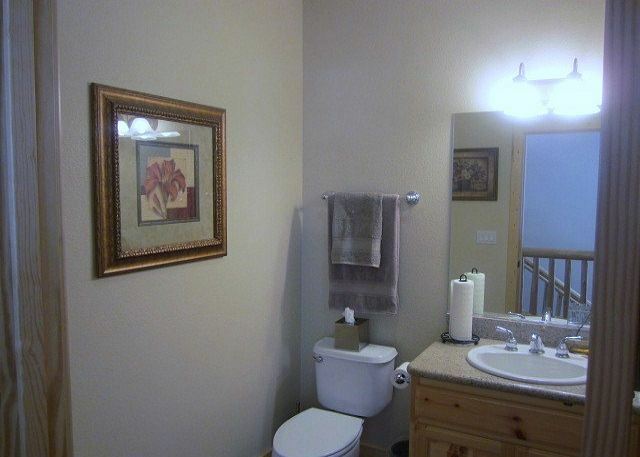 Upstairs is modern with vaulted ceilings. 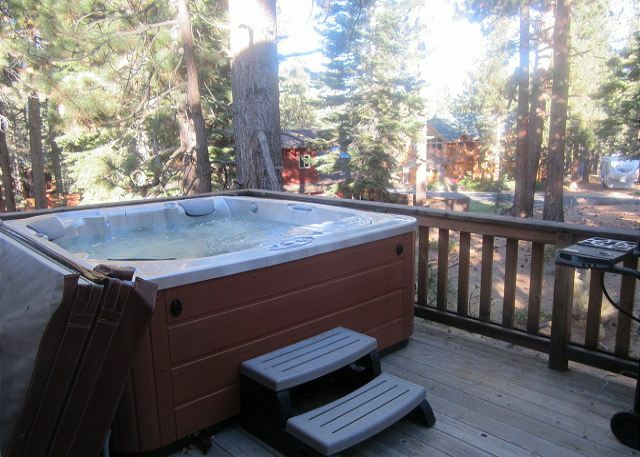 There is an outside deck with a giant hot tub. 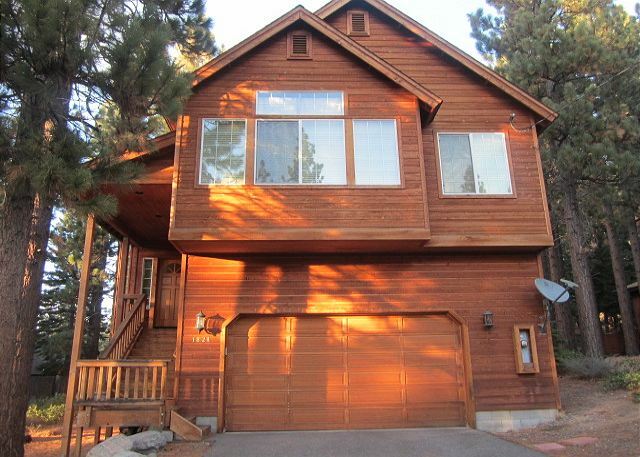 There is modern architecture with a Tahoe feel. 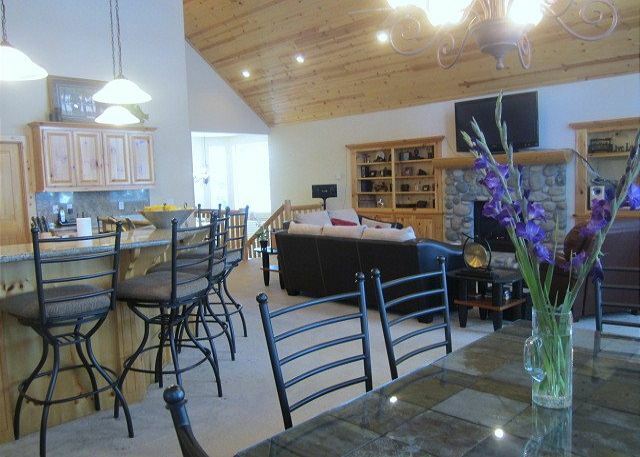 The Family room has a warm and wonderful fire place to cozy up to after a long day of skiing. 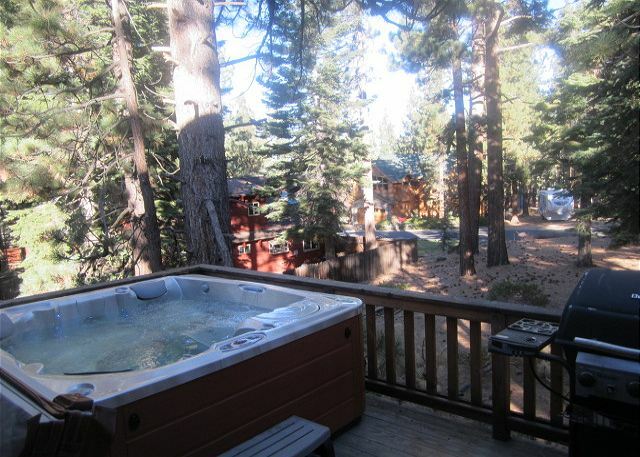 There is also a deep big jetted jacuzzi tub to relax in after a long day of hiking. The house is equipped with video games and a ton of movies to relax in the Family room. 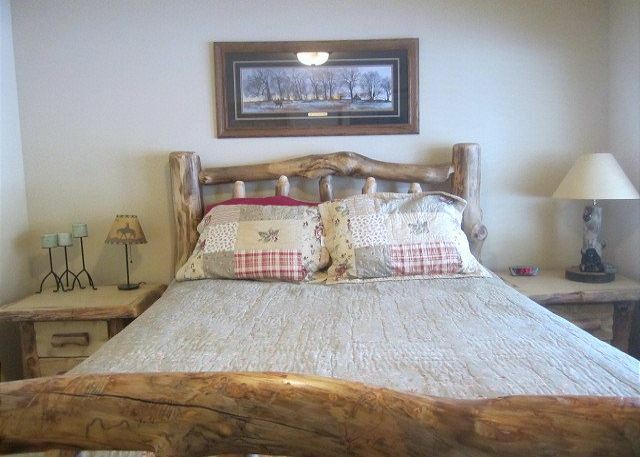 Each bedroom is large with its own TV. The rooms have luxury linens and towels for each guest. The kitchen is upgraded and has all stainless steel appliances. There are plenty of utensils to cook a fabulous meal. And there is plenty of seating at the kitchen bar and dining room table to enjoy your creation. 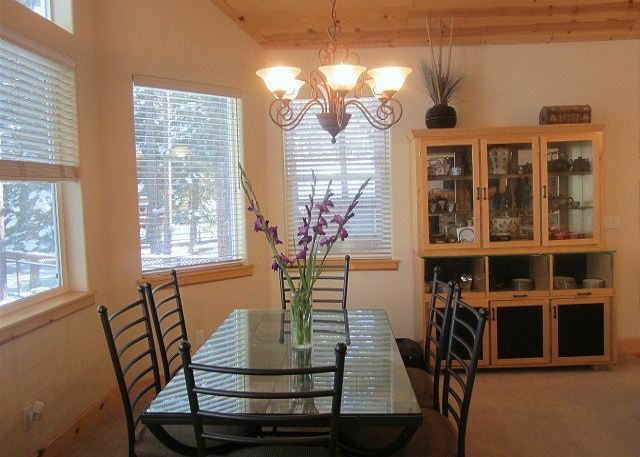 The home has a large backyard for frolicking in the snow and building snow men. We provide sleds for sledding. We also provide a BBQ grill for cooking outside. Everyone that has stayed here has been thrilled with the amenities we provide. 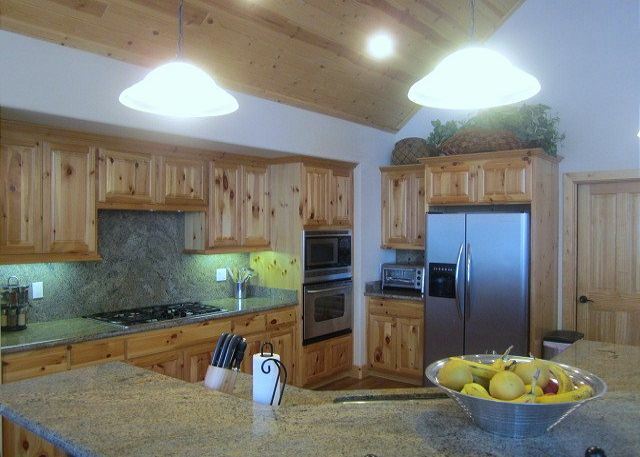 Blocks from Heavenly Ski Resort, Hiking Trails, Brand new 2007 construction vacation home. 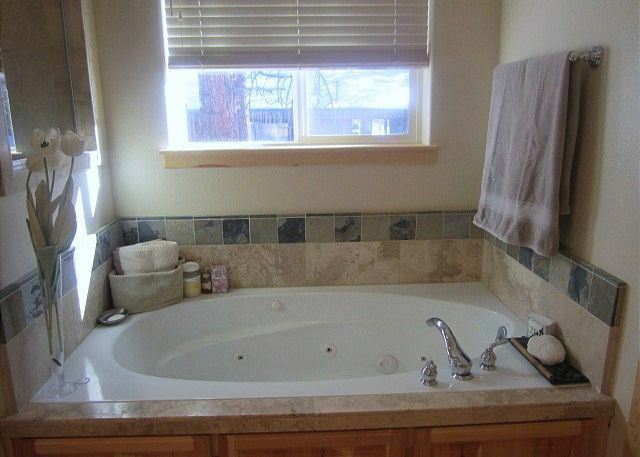 Luxury features thoughout the home. 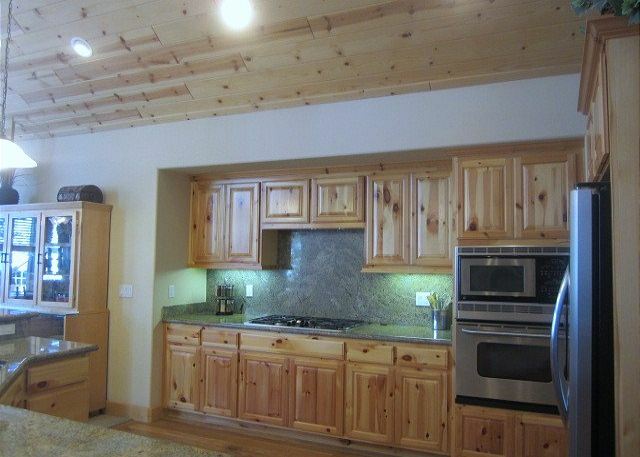 Blocks to Heavenly and steps to miles of hiking and biking trails in acres of National Forest. 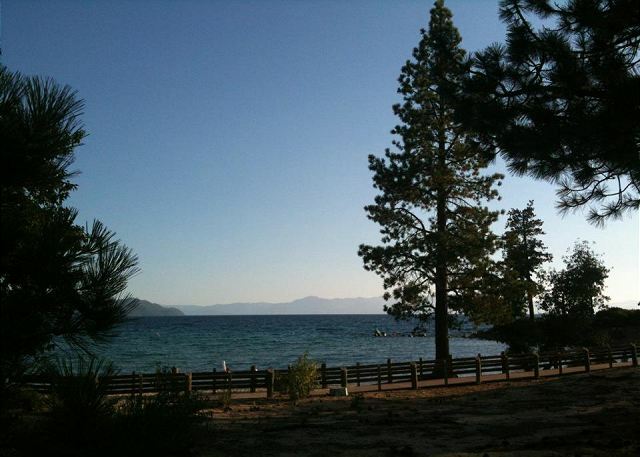 Just 4 miles to stateline Casinos.Modern Architecture with a classic Tahoe feel. Parking off street okay in the summer. Driveway and garage only during winter months during snow removal operations. Gas Fireplace in family room. Washer and Dryer. Covered parking Garage for two cars.Beds: King bed in master bedroom Queen bed in bedroom 1 Queen bed in bedroom 2 Queen bed in bedroom 3 Entertainment: 52' Plasma TV, with over 250 channels, Jetted jacuzzi tub in Master bathroom, stereo system, DVD, Hot Tub private on Deck.Kitchen: Full Kitchen Granite Countertops, stainless steel refrigerator Frigidare, Dishwasher GE stainless steel, 5 Gas burner CookTop GE Profile Dishwasher. Cooking Utensils fullly equipped kitchen. Icemaker.Location Details: Located in the beautiful neighborhood of Montgomery Estates. 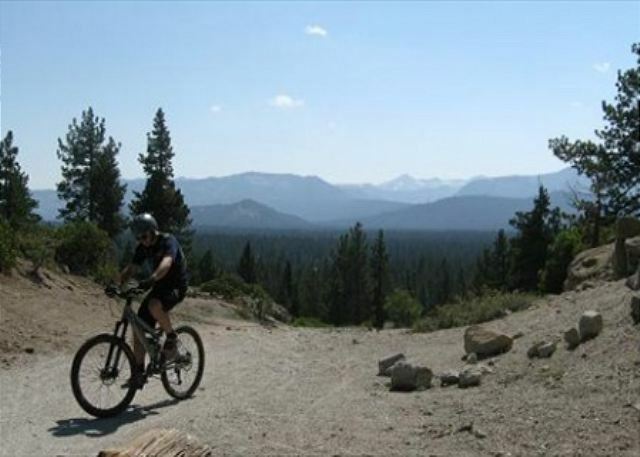 This neighborhood is set among pine trees backing National Forest Lands containing miles and miles of hiking and biking trails. 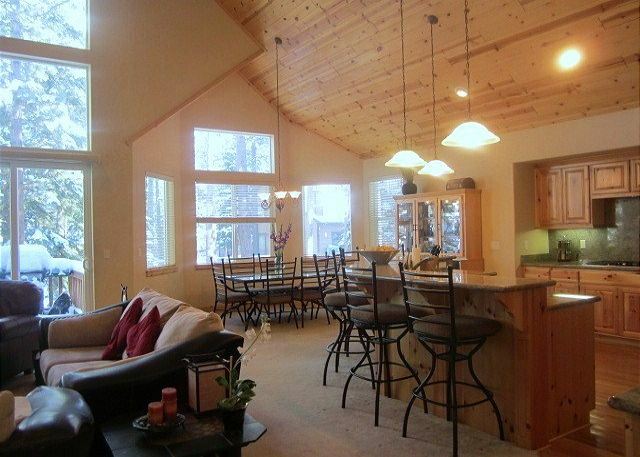 The property is ideally located for access to South Lake Tahoe's three major ski resorts. 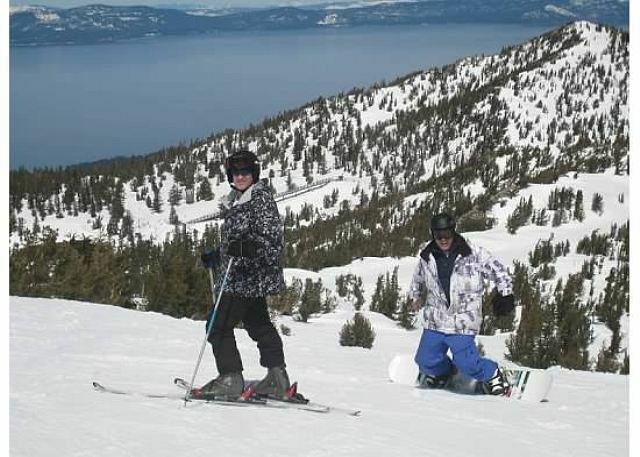 Heavenly Mountain Resort is a short 10 minute drive (4 Miles) from the house, while Sierra at Tahoe is only 35 minutes and Kirkwood is 45 minutes. 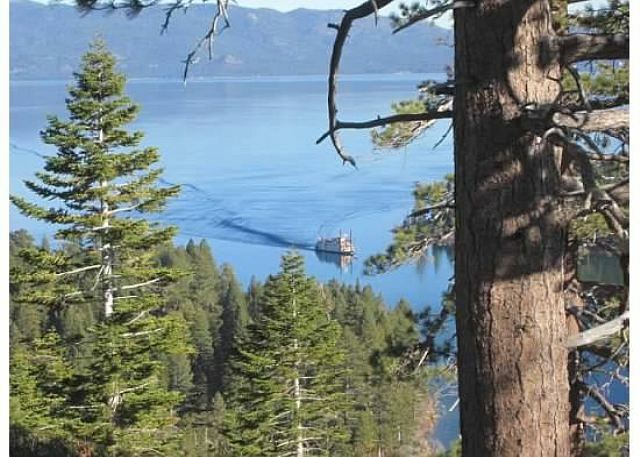 Stateline and the Casinos are 4.5 miles away, so going to dinner at one of South Tahoe's many restaurants or a night at the blackjack tables is very convenient. No Smoking inside the home.